WinGate Wilderness Therapy is one of the nation's leading Wilderness Therapy Programs providing teens from Nebraska proper treatment and substance abuse recovery. They believe in taking a different approach than other therapy programs in that they create an open and receptive environment that makes adolescents want to move forward, to address their issues, and work toward a solution for real change. While WinGate may be located outside of Nebraska, admission is open to adolescents across the country. There are many benefits to attending a Wilderness Therapy Program outside of Nebraska. The physical distance placed between struggling teens and the adverse situations that serve to encourage the perpetuation of their issues and unsupportive peers who also contribute to their problems helps adolescents to be more objective about their issues, to see how they and their families are being hurt by it, and then to choose to change and embrace recovery. When troubled teens from Nebraska arrive at WinGate Wilderness Therapy, they might not be sure what to expect. 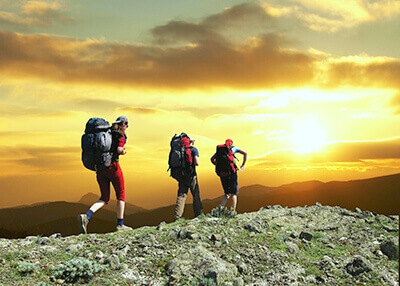 While some wilderness therapy programs are nothing more than backpacking trips into the wilderness to camp, WinGate is founded on sound psychological treatment practices and incorporates leading psychological and behavioral science research into every aspect of its program. This is why they are proud to be a member of the National Association of Therapeutic Schools and Programs. These elements allow them to provide effective treatment for teens from Nebraska who struggle with substance abuse and addiction, behavioral problems, depression, low self-esteem, sexual promiscuity, and even academic failure. By putting struggling adolescents in a position where they want to recover and where they help to identify the route to do so, the success of that teen is greatly enhanced. With family involved in the healing process, this ensures the teen's success once they return home. WinGate Wilderness Therapy is committed to the success and recovery of every participant in their program and offers free coaching and guidance to parents of struggling adolescents from Nebraska. By calling (800) 560-1599, they can assist with any questions about their program and how it differs from other Wilderness Therapy Programs, as well as coach parents through the admission process for their teen.